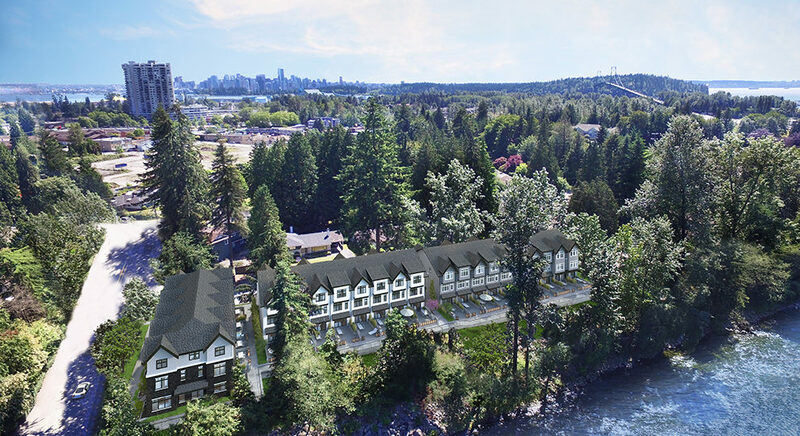 Holland Row, North Vancouver, BC – PC Urban Properties Corp.
On the banks of the Capilano River will be the perfect blend of urban living and natural environment. 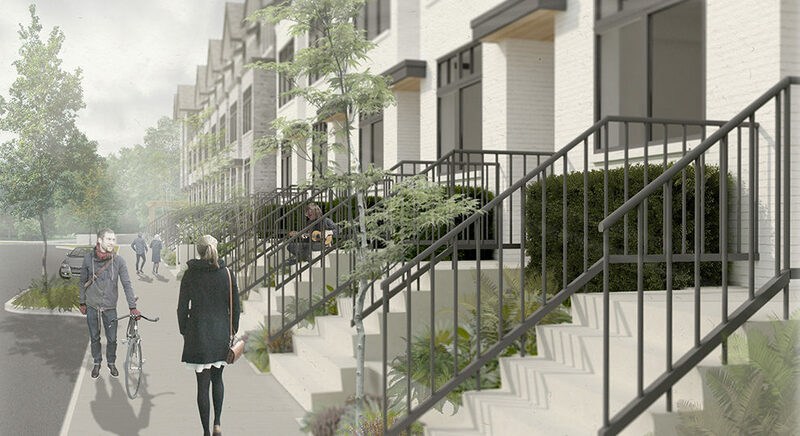 Holland Row, a collection of 23 spacious three and four bedroom rowhomes, will be some of the most sought after residences on the North Shore. 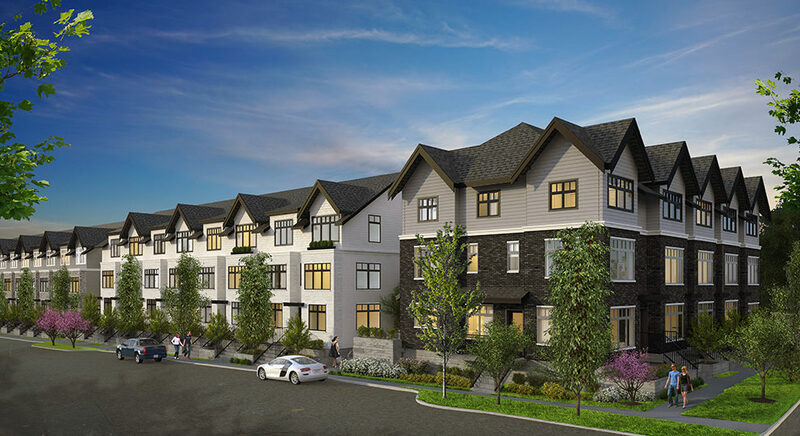 Located in the new community of Lions Gate Village, just north of Marine Drive and west of Capilano Road, Holland Row will offer residents some of the best the North Shore has to offer in urban living amongst nature. 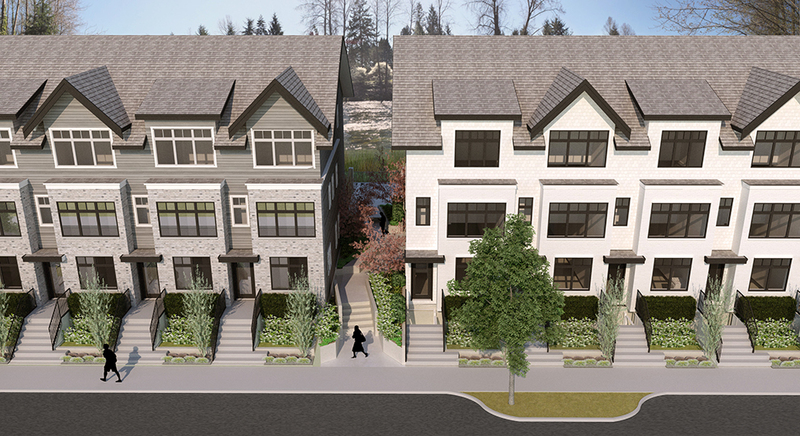 Overlooking the Capilano River, the rowhomes boast private back yard, secured parking garages with direct access into your home, premium appliances, refined interiors and sophisticated architecture. All within walking distance of restaurants on Marine Drive, shopping at Park Royal, a new Community Centre being built on Fullerton, the nature trails of West Vancouver and local skiing at Grouse Mountain. Holland Row will epitomize North Shore living.